Are you a lover of the world of health foods? Are you a fan of a mean milkshake? Why not combine the two and jump on the protein shake train? 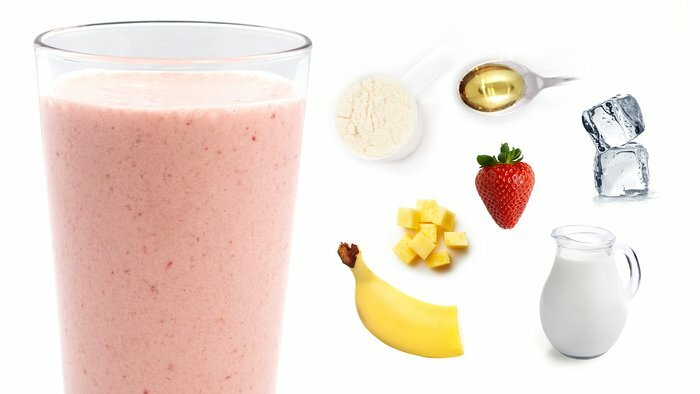 The best protein shakes and protein powders are well-loved for their weight loss, muscle-building, and muscle-recovery qualities. Protein helps you lose weight in several different ways. The average daily protein intake for men should be around 98 grams and the average intake for women should be around 68 grams – but those looking to lose weight should increase their protein consumption to 25% of their daily calorie intake (which would be 113 grams of protein on an 1800 calorie diet). Adding extra protein to your diet via protein shakes can help you meet those protein intake goals. Protein also helps build muscle, and more muscle means more weight loss. The more muscle your body is composed of (compared to fat) the faster your metabolism will be – and faster metabolisms burn more calories, thus helping with weight loss. In addition to building more muscle, protein also helps you keep the muscle you have. As much as you want your weight loss to only target your fat, it also inevitably affects your muscle mass too. Thankfully, protein helps you fight that muscle loss – when compared to high carbohydrate diets, high protein diets help you to lose more fat than muscle mass when you’re trying to shed weight. And what’s probably the best, most immediate effect of adding some extra protein to your daily eating habits? You’ll feel fuller. With a protein shake as a snack, your meal portions then won’t have to be large because the shake would’ve taken care of your immediate hunger needs. In fact, you can even swap a meal out for a protein shake – they’ll often leave you satisfied enough as is. You won’t have to eat as much. Even if you’re already in the habit of eating healthy, low-fat, high-protein foods, it doesn’t hurt to look at protein shakes to incorporate into your diet. For our ratings on the best protein shakes, we considered the type of protein, the cost, the reviews, the taste, and how easy the particular protein shake is to find. Flavor is a defining factor in many people’s decision to use or not to use protein shakes as an everyday part of their diet. No one wants to regularly consume something that tastes awful to them, no matter the benefits. That’s why most protein shakes are flavored (coffee, fruit, chocolate, vanilla) and why there are so many great recipes to make your own shakes and bring joy to your taste buds when you’re working on your health. CalNaturale Svelte Protein Shakes are organic, vegan, plant-based, gluten-free, kosher, and free from artificial flavorings, reconstituted protein powders, and isolates. 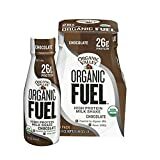 The shakes are made with fresh organic non-GMO soy milk, contain complex carbohydrates for sustained energy, have 5 grams of fiber per serving (20% of your recommended daily fiber) from inulin, and only 6 grams of sugar. These shakes are great for a punch of nutrition and energy before your workout, recovery after your workout, or a snack to hold you over between meals during any part of your day. 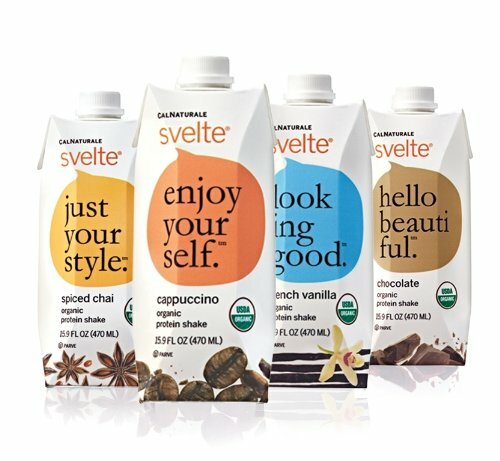 CalNaturale Svelte shakes come with 11 grams of protein and in 5 great flavors – banana crème, chocolate, French vanilla, cappuccino, and spiced chai. They’re packed with vitamins, minerals, and antioxidants like A, E, D2, B12, B2, calcium, and zinc. 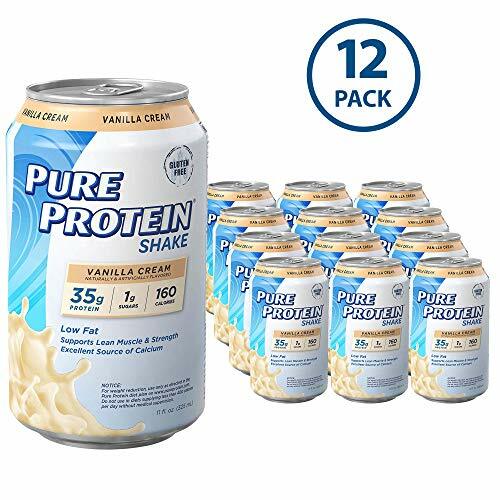 You can get a pack of 12 shakes in 11-ounce bottles for about $$ on Amazon. 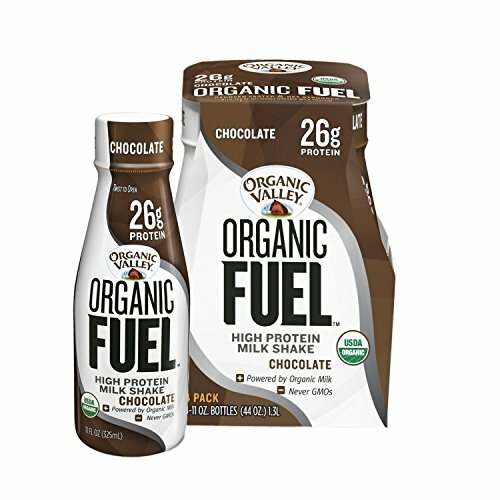 Organic Valley Organic Fuel Protein Shakes offer 26 grams of organic milk protein per serving while also being lactose and gluten-free. They’re 260 calories, an excellent source of calcium, and have a 1:1 protein to carb ratio along with no antibiotics, synthetic hormones, toxic pesticides, or GMOs. They come in vanilla or chocolate and only use the ingredients they need for a good shake, no extras. They’re good before or after workouts and pride themselves on their great taste. They don’t rely on chalky protein powder for their shakes, instead of sourcing from organic milk from pasture-raised cows. Orgain Organic Nnal Shakes are kosher, gluten-free, soy-free, vegetarian, non-GMO, and free from artificial colors, flavors, and preservatives. 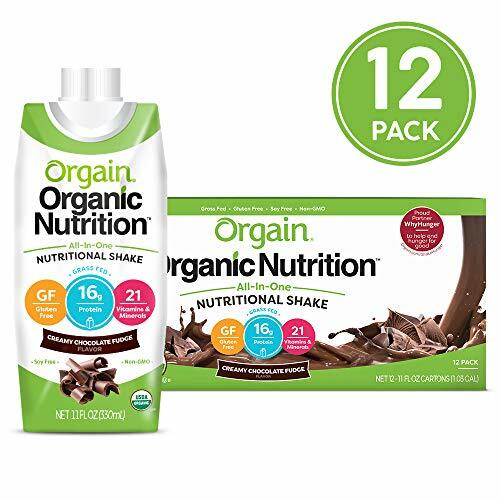 Orgain Shakes’ 16 grams of protein per serving come from organic whey protein concentrate and organic grass-fed milk protein concentrate. The shakes also have 2 grams of dietary fiber, 21 vitamins and minerals, 10 fruits and vegetables, and 255 calories per serving. You can get the shakes in creamy chocolate fudge, iced café mocha, or sweet vanilla bean to satisfy your pre-workout, post-workout, or snacking needs. 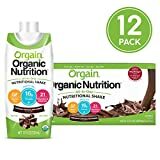 You can get a pack of 12 shakes in 11-ounce bottles for between about $$ and $$ on Amazon depending on your chosen flavor. 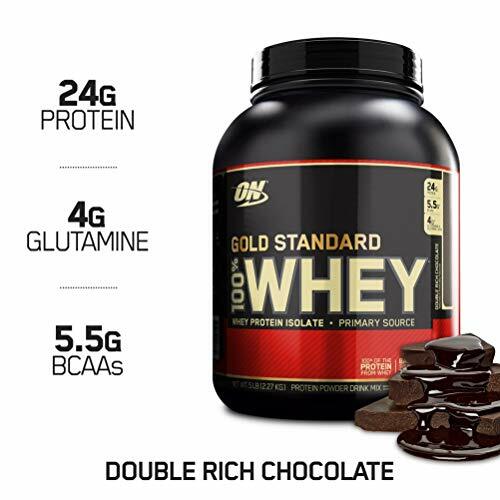 With 24 grams of high-quality protein and only 2 grams of sugar per scoop, Optimum Nutrition Gold Standard’s 100% Whey Protein Powder is a wildly popular and easy to find choice among customers. It’s quite likely you’ve seen this brand while wandering your local supermarket’s pharmacy aisle. In addition to the main ingredients of whey protein isolates and whey protein concentrate, this powder also has over 4 grams of glutamine and glutamic acid and over 5 grams of naturally occurring branched chain amino acids (BCAAs) leucine, isoleucine, and valine per serving. It comes in over 20 different flavors you can mix into your own shakes like banana crème, birthday cake, cake batter, chocolate coconut, chocolate mint, cookies and cream, gingerbread, hazelnut, key lime pie, mocha cappuccino, rocky road, salted caramel, strawberry banana, and vanilla ice cream, among others. A 5-pound tub will cost you between $$ and $$ on Amazon depending on your chosen flavor. Quest Nutrition Protein Powder is another solid shake option for those of you who want to make your own protein shakes. Each serving offers 23 grams of protein, 2 grams net carbs, 0 sugars, 2 grams of dietary fibers, 110 calories, and 0 fat. The protein comes from whey and casein protein isolates, and the powder is sweetened by stevia and sucralose. Quest is gluten and soy-free. There are plenty of fun flavors for you to try – banana cream, chocolate milkshake, cinnamon crunch, coffee latte powder, cookies and cream, peanut butter, salted caramel, strawberries and cream, and vanilla milkshake. You can get a 2-pound tub for between $$ and $$ on Amazon depending on your chosen flavor. Pure Protein Shakes are packed with 35 grams of protein, 90% of your recommended daily calcium, only 1 to 2 grams of sugar, and 150 to 170 calories per can. They’re great for a quick meal-swap on the go, a burst of energy right before you start your workout, or an energy-refresher once you’ve finished working out. The shakes come in 4 flavors – banana cream, cookies and cream, frosty chocolate, and vanilla cream. Some protein shake consumers criticize Pure Protein Shakes for their artificial colors, flavors, and other ingredients, so while they definitely pack the protein, they’re not the best option for general nutrition compared to other shakes. A pack of 12 shakes in 11-ounce cans will cost you between $$ and $$ on Amazon depending on the flavor you choose. Some like to get their protein shakes as liquids already, and others prefer getting a general protein powder that they can then mix into their own shakes when they’re in the mood. Besides that preference, the next most important thing is generally what the protein source of the shake is. While whey is the most popular protein supplement, there are other proteins to choose from too – casein, soy, rice, pea, egg whites, and hemp are a few. The right protein for your shake largely depends on what you’re looking to get out of the supplement, and what your preexisting dietary needs are. For example, if you’re vegan, whey ahttps://www.shape.com/healthy-eating/diet-tips/whey-best-protein-powder-weight-lossnd casein aren’t for you (they both come from milk) – thankfully, there are vegan protein options like soy and rice to cover your protein powder weight loss needs. It's also important that your protein source has the essential amino acids, is high in protein content, and is low in carbohydrates, sugars, and artificial flavors if possible so as not to mess with your health goals. Whey is a dairy protein that’s a byproduct of the cheesemaking process. It’s the watery part of milk that ends up being drained away from the forming curds. It’s thermogenic (helps burn calories) and aids in protein synthesis (which starts the process of building new muscle). Because most of our bodies easily digest whey protein, it’s good to take after exercise for muscle building and recovery. Whey isn’t a good choice for vegans or individuals with lactose intolerance (and neither is casein). Casein protein is another dairy-based protein – it’s different from whey in that it comes directly from milk and is more slowly absorbed into your body. Casein protein forms curds when exposed to our stomach acids, so it takes a while (6 to 7 hours) to digest and absorb. This protein is also a good source of calcium. Protein from egg whites is absorbed and used by our bodies efficiently, not to mention it has very little fat or carbs. It’s digested even slower than casein protein, which will keep your appetite sated. Soy is one of several plant-based and vegan-friendly protein options, although it does come with some concerns. It has all 9 essential amino acids needed for human health (like the dairy proteins) and helps with appetite reduction. Research on effects shows a mixed bag – soy is pretty good for women (because of estrogen-like molecules called isoflavones) and for the same reason can cause odd hormone effects in men. It’s advised to opt for a different plant-based protein if you plan on using the powder regularly. Pea protein also has the 9 essential amino acids like soy and is also quite filling. Like whey, pea protein has a lot of leucine which is great for muscle-building. However, it’s known to have a kind of earthy taste that some dislike. Rice protein, on the other hand, is known for its mild taste, pleasant texture, and overall makes for a solid protein powder. Hemp protein isn’t as nutritious as the other plant-based proteins but still works alright. It has more carbs and fat than the others and isn’t absorbed into our bodies as easily. You can use a protein shake as a replacement for a meal altogether – by mixing a serving in with water, milk, a milkshake, or a smoothie, you can sip on a filling beverage instead of taking a fork to your plate. This meal method works best with casein protein (although whey is good too) because of its slow absorption rate – you’ll stay full for longer. Just be wary of what you put into your shake so you don’t unintentionally consume more calories than you intended. Not ready to swap out a whole meal for a protein shake? No problem, drink your smoothie as a snack for a quick burst of energy when needed or as a holdover to make it to your next major meal. You could also make your own protein balls if you’d rather your snack be solid. Need some ideas on how to make your own killer protein shakes from a protein powder? There are plenty of great recipes floating around online.